Are you looking for a used car at a dealer you can trust? We have many used cars in Alliance, offers many great used cars at a upfront price. It’s important to buy from a trustworthy dealer that has your best interests in mind. We have many makes and models that you can choose from including Buick, Cadillac, Chevrolet, Chrysler, Dodge, and more. Depending on your interests and driving needs, some cars may be better for you than others. You can further customize your search by choosing from a wide variety of years, makes, body styles, mileage and more. To get a closer look, check out our videos, pictures, and view the details online. You can view these details to see what’s best for you. You can even get pre-approved now so that you can get closer to driving in the car of your dreams. Once you find the car of your dreams let our finance team help you work out a way to afford this car. We can help you secure a car loan for your next used car, regardless of your current credit situation. We are just a short ride from receiving a low interest car loan or great lease plan from our finance center in Alliance. We offer the following the following services: leasing options, car loan rates, and finance and warranty specials. Feel free to fill out the online finance application and you are on your way to financing the car of your dreams. Many of the used cars on our lot allow you to view the CARFAX Vehicle History Report to fully check out vehicle information that is important to you. When you want to trade in or sell, Autrotrader.com will bring you an instant cash offer that can be validated at our dealership. This will allow you to trade in your car or redeem you final offer for cash. 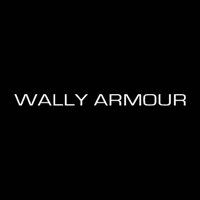 At Wally Armour, you can find many used cars in Alliance that will be good as new. For more information, give us a call at (877) 328-0325 today!